Ford CEO Jim Hackett says his company is “turning the corner” following a tough fiscal year in 2018. The automaker announced last year that it would be making job cuts and implementing other cost-saving measures in order to help it revamp its lineup and bring 40 electrified vehicles to market by 2022. The restructuring plan also entailed an investment of $11 billion. Investors have begun to grow impatient with Hackett, though, after the automaker has failed to grow in any significant way during his near two-year tenure with the company. The automaker posted a profit of $7 billion USD in 2018 and a profit margin of 4.4 percent – down from 2017, when it had profit margins of 6.1 percent. “Just trust me on this. You’re going to be reading a lot about Ford performance going forward,” Hackett appealed as he spoke to a crowd at the Detroit Economic Club this week. New products like the 2019 Ford Explorer, 2019 Lincoln Aviator, and 2020 Ford Escape will be crucial to the brand’s success going forward. With North American consumers ditching small cars and sedans and flocking to crossovers, SUVs and other larger vehicles, Ford is positioning its lineup to capitalize on current market trends in a bid to boost sales. Ford announced last year it would be dropping slow-selling sedans and cars from its lineup, including the Fiesta, Focus, Fusion, and Taurus, in order to make way for more crossovers and SUVs. 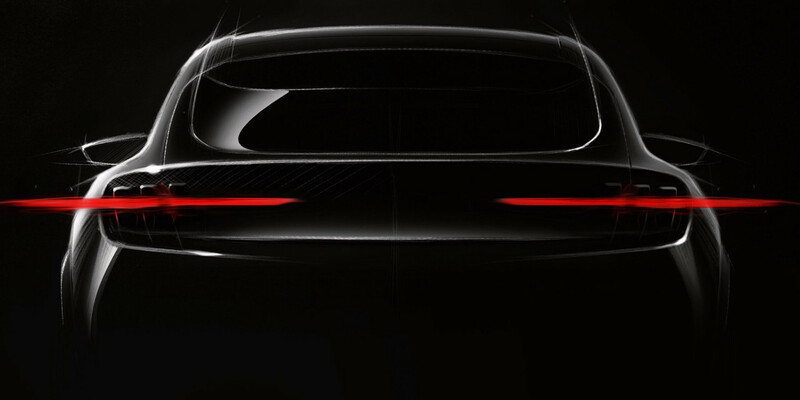 New EVs are also on the way from the brand, with the first from Ford being the fully electric Mustang inspired performance crossover. The performance EV will enter production at one of Ford’s Mexican plants in 2020 before going on sale later in the year. I want to see Ford turn the corner, becoming the success it should be. Dropping the car line-up in the US seems risky, but selling cars with little or no profit doesn’t prove to be a winning strategy. I’m glad to see the Mustang continue. I must say that I was hoping the Fusion had a future but for now it’s obvious it’s not going to have one at least in the US. Ford’s success will depend on it’s new SUV lineup which includes the Lincoln brand. From what I’ve seen. I believe they have the vehicles coming to turn it around. Hopefully the new Bronco looks like the old one form the 1960’s to compete with the wrangler. what Fiat/Chrysler gets for those vehicles is absolutely crazy. The baby bronco need to be born quick too!!! My dad took a Ford dealership in Utah from a row of six F-100 pick-ups in 1959 to the largest Ford Truck franchise west of the Missouri River by 1976 with 1500 trucks. I grew up in a Ford family with a new Ford every year during my childhood. I want the company to succeed and hope CEO Hackett can hack it. I own five new Fords & the stock for retirement. Love the new Explorer, Escape, Corsair, Nautilus, & am hopeful the Bronco can cut Jeep’s market share. The Electric Mustang & F 150 look good if there really is an emerging electric market. If not, the Tesla induced head-fake will have robbed the company of capital it could have sorely used elsewhere. I hope customers emerge to make Hackett’s plans work. I’ve done my part. Maybe one day ford will bring back the names Thunderbird and the Maverick.I owned a four door maverick once, it was the best car i ever owned. I think he is probably a few months away from being replaced. Ford family not thrilled about poor performance. Seems to be a weak CEO on the execution front. Ford should not drop the sedan production . They are abandoning a great market which many customers prefer because CUVs and SUVs are not their choices. I am a proud owner of a 2014 Fusion Hybrid sedan, and it is a wonderful car. After fiver years I get up to 54 MPG and the only part replaced is the oil filter. I drove a rental 2019 Chevy Malibu last week and it doesn’t have the same features as my Fusion, nor does its “start-stop” save enough gasoline. Please, Ford, keep making Fusion Hybrids and Energi models! If not, the imports will will! I agree on the Fusion….best looking Ford sedan in decades & a workhorse. Note: sales are steady or up even though it’s on death row. Keep this car to keep Toyota & Honda honest. This is Ford’s market. IT IS INSANE TO DROP THE FUSION. IT IS A SUPERB CAR. IT IS ALSO BEYOND STUPID TO GET OUT OF THE ENTRY LEVEL MARKET BY DROPPING THE FOCUS. FIRST TIME BUYERS CANNOT AFFORD OR DO NOT WANT A CROSS OVER. MOST OF THEM WANT A SMALL ECONOMICAL INEXPENSIVE CAR AND FORD IS TELLING THEM TO GO GET A HONDA OR A TOYOTA OR A HYUNDAI. THIS IS BEYOND STUPID. So think about this: the sedan market has already dropped 30+% and is still dropping. Why invest billions of R&D dollars into a re-design of a vehicle for a market in freefall, when those same dollars could be invested in GROWING market segments???? How is that being smart?